I have been seriously derelict in reporting on my CSA garden shares from Little River Market Garden this season. There are no excuses: my farmer, Muriel Olivares, somehow managed to keep things going even while giving birth to a beautiful baby girl right smack in the middle of the season. And she's even added more variety to this season's harvest, including new items like edamame and fresh ginger along with the usual panoply of greens, cabbages, heirloom tomatoes, root vegetables and herbs that we got last year. So why haven't I done a single CSA post yet this season? Well, it's partly because when you have tomatoes like these, there is no recipe that can possibly improve on them. You wash them, and then you pop them in your mouth like candy. Maybe halve them and salt them, drizzle them with olive oil if you must. Sure, I could do something more clever than that; but I don't. Even when I cook lately, it's been pretty simple stuff. Assembling a salad or braising some greens does not make for great reading. 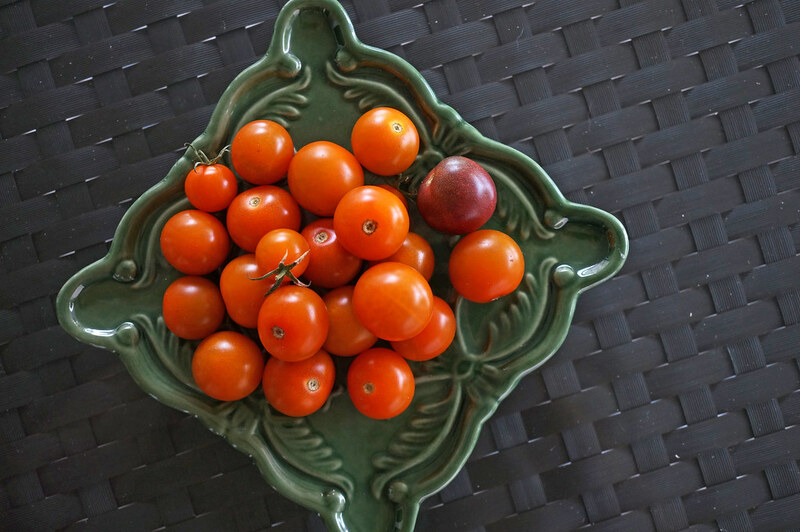 The two items that caught my eye this week - aside from the always gorgeous and delicious tomatoes - were the fresh ginger and the Ethiopian kale. We've been trying to cook with the goal of having leftovers to feed the kids for an extra day or two. 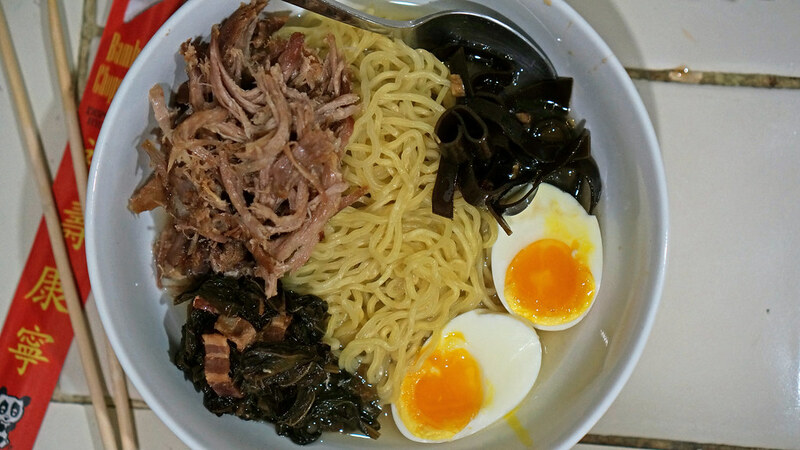 So Sunday afternoon I assembled most of the components for a ramen dinner on Monday that would produce a little extra for the following day. As has often been the case lately when I'm cooking, the Momofuku cookbook provided most of the building blocks, because so many of the recipes are so simple and delicious (that book ought to be subtitled "Pork Sugar Salt Magic"). First, the pork: rub a pork shoulder (I used a bone-in one) with equal and generous amounts of salt and sugar and let rest overnight. Pour off the liquid and then roast at low temp (I did 275°F) for about 6-7 hours, basting occasionally with the fat and juices. Remove, let rest, pull and shred the meat with forks, and reserve. Next, bacon dashi: rinse two strips of kombu (about 3" x 6" each), then put them into 8 cups of cold water and bring to a bare simmer over about 15 minutes (I may have overshot the temperature goal here, as discussed below). Remove and reserve the kombu, then add 1/2 pound of bacon, bring to a boil, and simmer for about a half hour. Remove the bacon, decant and cool, stick it in the fridge, and then remove the fat cap on top before using. Pickled kombu: cut the reserved kombu into strips and then toss with minced fresh ginger (I used about a 1" round knob), usukuchi soy sauce (~ 1/4 cup), rice wine vinegar (~ 1/4 cup), mirin (~2 tsp), chiles (~1 tbsp) (I used sambal oelek), safflower oil (~2 tbsp), sesame oil (~1 tsp) and sugar (~1 tbsp). Pack into a clean glass jar with the liquid covering the kombu (add more vinegar if needed). My kombu had an unfortunate sticky, mucilaginous texture (with sticky strands like natto or mountain yam), which I later learned was because I probably had the heat too high when making the dashi. Advice for next time: keep the temperature below 64°C (~150°C). Kale: wash and roughly chop the kale into bite-sized pieces. Cook a piece of bacon in a large sauté pan at medium-high heat until it releases its fat; remove and reserve. Add the kale to the pan, salt to taste, and toss it in the fat, then add a splash of soy sauce, a splash of vinegar, and a spoonful of brown sugar. Reduce heat, cover and cook until the kale is tender. Cut the bacon into strips and add back to the kale. Eggs: bring a pot of water to a vigorous boil. Add a pinch of salt and a splash of vinegar. Gently drop in the eggs and cook for 6 minutes. Remove the eggs to a bowl of ice water, run cold water over them and peel. If you had the foresight to make these ahead of time, maybe marinate them and make hanjuku eggs (here's a recipe). Assembly: Warm up the broth; adjust for salt and sweetness with soy sauce and mirin. Warm up the pork and the greens. Cook the ramen noodles in boiling water per package directions (no, I did not make my own noodles). 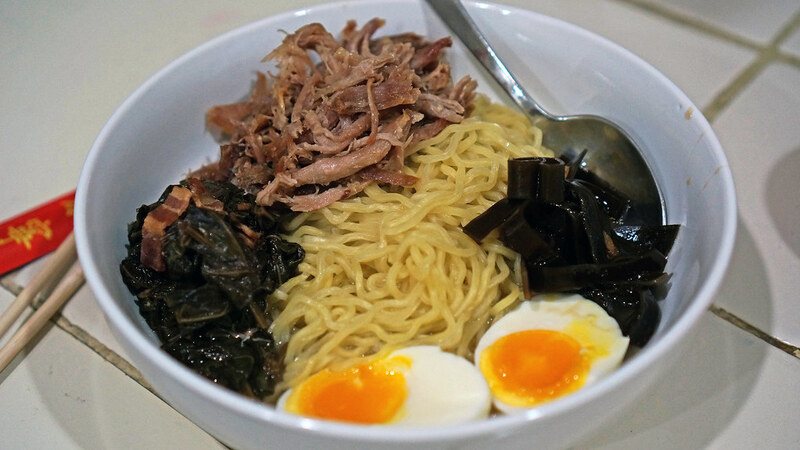 Add the noodles to a warm bowl, add the egg, the pork, the greens, a mound of the pickled kombu, then ladle broth over the top. Forget to add chopped green onions. Serve. The broth is surprisingly light (perhaps because I didn't use the intensely smoky and salty Benton's bacon recommended by David Chang), actually much more like a traditional dashi than a pork broth. This was welcome, as it let the other ingredients shine. Everyone else in my family was too put out by the texture of the kombu to try it, but the punch of ginger in the marinade/pickle really brought this dish together for me (and most of the stickiness washed off in the broth anyway). 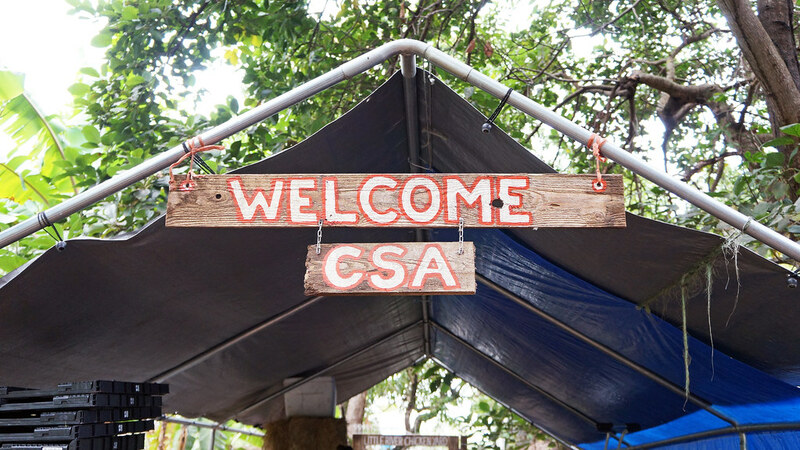 I have been eyeing membership in a CSA for a long time, it seems like such a good idea, I think it's going to be time to sign up. Thanks for the push!